Write Bloody Publishing, 9781938912894, 100pp. 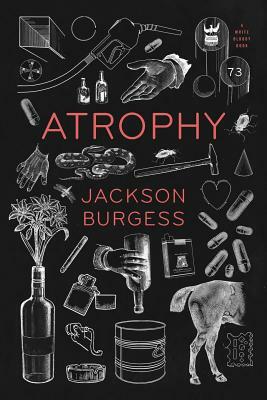 Atrophy's poems vary in location, mostly between Los Angeles and Iowa City, with reoccurring characters serving as touchstones, forming the book's narrative. Much of the collection is about or directly addresses an ex-lover, Lily. In the wake of that failed relationship, Atrophy wrestles with loneliness, substance abuse, and dissociation, utilizing lists, letters, prose poems, and free verse. These poems celebrate the past while mourning it, armed with the advantage of retrospect. Prescription drugs, dog fights, dance parties, love letters, and ghosts--the world depicted is at times dark, at times humorous, but always human. Atrophy is vulnerable and cinematic, a series of manic meditations exploring what it means to love and be loved, to hurt and be hurt.